The number of iPhone 6 rumors and leaks that we’re getting to see is increasing day by day. Just today a report surfaced according to which Apple’s next flagship smartphone will be coming with 1 Gb of RAM. 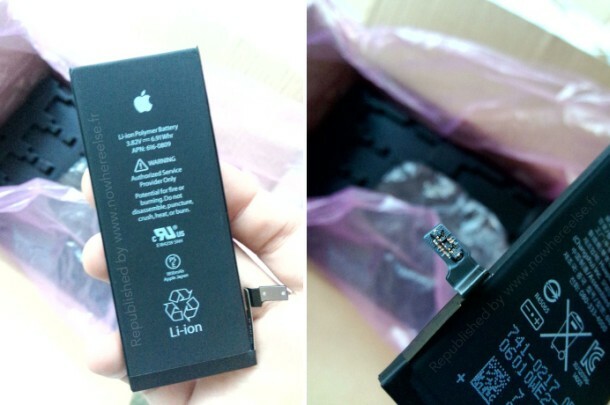 Several specifications about the iPhone 6’s alleged battery have also been circulating around lately. The pictures are courtesy of the french site NWH and once again confirm that the iPhone 6 will indeed be featuring a battery in the range of 1800 mAh. Apple’s 4.7″ iPhone 6 To Come With A 1810 mAh Lithium-ion Battery. As you can see, the pictures above do seem to be the real deal. Increased battery size on the iPhone 6 is natural as first of all the increased display size of the device will be more energy demanding. Furthermore, given that the iPhone 6 is expected to feature several new features, a larger battery will help ensure that the phone’s power requirements are being met. These include an upgraded A8 SoC rumored to clock at 2 GHz, a first in Apple history. Other improvements on the iPhone 6 include an NFC chip on the device which will enable users to make transactions through their smartphone without the need of plastic cards or cash. Not to mention that the iPhone 6 is expected to come with iOS 8 which itself includes several unprecedented features. These include an improved health kit app, upgrade of need-sensitive features and third-party keyboards as well. How all of these coupled with the increased battery size translate into the battery life of the iPhone 6 is one thing that we can not know before the device is actually launched. So stay tuned for September folks.